YOUTH OUTING: We have a Youth Outing to Bay View Mini-Putt and Zipline in Kaneohe. This event is scheduled for Saturday, September 12th from 8:30 AM to 2:00 PM. The cost for this event is $40.00 per person which includes lunch at the site. In addition to the church Liability Waiver Form, Bay View also requires that each participant must fill out their own Liability Form. Both Forms should be available in the Foyer. There is a sign up sheet located in the Foyer or inside the Youth Room. As usual, drop off and pick up is at the church facility. The Bus leaves at 8:30 so please drop off for your youth at 8 AM. For more information and question, please see Pastor Felix Tan. AWANA: For all interested clubbers and leaders, AWANA will begin the new season on October 4th, 2015 at 5:30 PM. We are still in need of helpers and leaders if you are still interested, please see Pastor Dan, Sarah Reed or Susan Fuchikami for further details and opportunities. ATTENTION LADIES: There is still time to join if you are interested! There will be one session at 9:00 AM and another at 7:00 PM. Cost of the book is $15.00. Please bring payment to the first day of the study and your book will be given out then! Any questions please see Irene Couch. HARVEST AMERICA: The SoCal Harvest is an event that features performances by top Christian artists and a gospel message by Greg Laurie. Harvest Events are designed to be opportunities for Christians to invite family members, coworkers, friends, and acquaintances to hear the life-changing message of the gospel in an environment that is entertaining, yet nonthreatening. We will be streaming this event in the Sanctuary TODAY from 4:00-6:00 PM so please bring an unsaved friend or family member and be encouraged! LIVING WATERS: The Living Waters Bible Study will be cancelled this Sunday due to the Harvest America. TRAIL LIFE: Trail Life is a Christ-Centered Scouting ministry for young men of all ages. Our desire is to have one here at CCWO and to use it to reach out to the young within our own community. We are presently still in need of Leaders to serve in the various age groups within this ministry. The need is from Kindergarten aged boys up through the 12th grade. So, please if you would like to be involved in this incredible outreach to young men, sign up on the bulletin board. You can also see Pastor Tau or Michael Williams at the Trail Life information table outside on the patio for more information. MOMS & TOTS: Moms & Tots is a fellowship group of mothers and their children getting together with other mothers and their children! The updated schedules for September and October are now available on the flyer in the foyer! Please see Abby Quast for more information. HARVEST FEST MEETING: If you would like to be a blessing and sign-up to volunteer for the upcoming Harvest Fest, please see the sign-up sheet on the bulletin board in the foyer. See Pastor Kelly or Kathy Jenkins for more information. AWANA: MEETING TODAY! For all interested clubbers and leaders, AWANA will begin the new season on October 4th, 2015 at 5:30 PM. For those who have signed up to be leaders and those who still wish to lead or help with the ministry, we will be having a short meeting after the second service TODAY. We will discuss the AWANA basic training on August 29th, 2015 and the annual AWANA conference on September 26th. If you can’t attend today’s meeting, please see Pastor Dan, Sarah Reed or Susan Fuchikami for further details and opportunities. FINANCIAL PEACE UNIVERSITY: Dave Ramsey’s 9 week class will begin Monday September 14, 2015. Learn how to get out of debt, live on a budget, save & invest, become an outrageous giver and so much more. Financial Peace is not just the name of the class it’s what God wants for His Children. Change your family tree forever. Cost is $99.99. Registration is one day only, TODAY, August 23 after both services. If anyone wants to sponsor a couple or individual they can see either Pastor Felix, Pastor Tau, or Pastor Charles. ATTENTION LADIES: We welcome you to join us for our upcoming Women’s Bible Study, “What Love Is” by Kelly Minter! This study is on 1st, 2nd, & 3rd John and encourages you to remain faithful to the truth. You will be challenged to look at contrasting themes such as walking in the light instead of darkness, truth versus lies and deception, loving God more than loving the world, and the meaning of true fellowship and community rather than shallowness. The study will begin THIS Thursday, August 27, 2015. There will be one session at 9:00 AM and another at 7:00 PM. Cost of the book will be $15.00. Please bring payment to the first day of the study and your book will be given out then! We are still in need of volunteers for childcare, so if you are able please see Irene Couch. Sign-up sheet is available on the bulletin board. Any questions see Irene Couch. CHILDREN’S CHURCH: The new Children’s Church quarter will begin on Sunday, September 6, 2015. We have need of teachers, assistants, and subs. Please prayerfully consider serving in this important ministry. The sign-up board will be on the patio. Please see Pastor Dan or Karen Mancao for more information. HARVEST FEST CARWASH: Thank you so much to everyone who helped out and/or participated with the carwash fundraising for this year’s Harvest Fest. As always, the goal is to offset any cost that will go towards the event. Your generosity in helping out with this ministry is greatly appreciated. Praise Jesus! HARVEST FEST MEETING: Please note there will be a meeting for the upcoming Harvest Fest TODAY, Sunday, August 16th, 2015 in Classroom # 1 after the second service. Please see Pastor Kelly or Kathy Jenkins for more information. VOLUNTEERS NEEDED: Out with the old A/C units and in with the new. Praise the Lord for providing! We are in need of volunteers to help out with dumping the old excess materials from the replacement of our church A/C units. If you have a truck and you are available to help in this need, please see Pastor Dean for scheduling arrangement. YOUTH OUTING: We have a Youth Outing to Bay View Mini-Putt and Zipline in Kaneohe. This event is scheduled for Saturday, September 12th from 8:30 AM to 2:00 PM. The cost for this event is $40.00 per person which includes lunch at the site. In addition to the church Liability Waiver Form, Bay View also requires that each participant must fill out their own Liability Form. Both Forms should be available in the Foyer. There is a sign up sheet located in the Foyer or inside the Youth Room. As usual, drop off and pick up is at the church facility. The Bus leaves @ 8:30 so please drop off for your youth @ 8 AM. For more information and question, please see Pastor Felix Tan. AWANA: In preparation for the 2015-2016 school year, we would like you to prayerfully consider helping out in this dynamic ministry. It is moving from Wednesdays 7:00 PM-8:30 PM to Sunday nights 5:30 PM -7:30 PM. There is a sign-up sheet in the foyer. Please see Pastor Dan or Sarah Reed for more information. FINANCIAL PEACE UNIVERSITY: Regan Blair will be starting a 9-week class using Dave Ramsey’s Financial Peace University. The class will be held every Monday night from 7:00 to 9:00 PM, beginning Monday, September 14th, 2015 and ends on Monday, November 16th, 2015. Registration for the class will be held on ONE DAY ONLY after each service on SUNDAY, AUGUST 23, 2015. Please see Regan Blair for more information. ATTENTION LADIES: We welcome you to join us for our upcoming Women’s Bible Study, “What Love Is” by Kelly Minter! This study is on 1st, 2nd, & 3rd John and encourages you to remain faithful to the truth. You will be challenged to look at contrasting themes such as walking in the light instead of darkness, truth versus lies and deception, loving God more than loving the world, and the meaning of true fellowship and community rather than shallowness. The study will begin on Thursday, August 27, 2015. There will be one session at 9:00 AM and another at 7:00 PM. If you are able to volunteer for childcare please see Irene Couch. Sign-up sheet is available on the bulletin board. Any questions see Irene Couch. 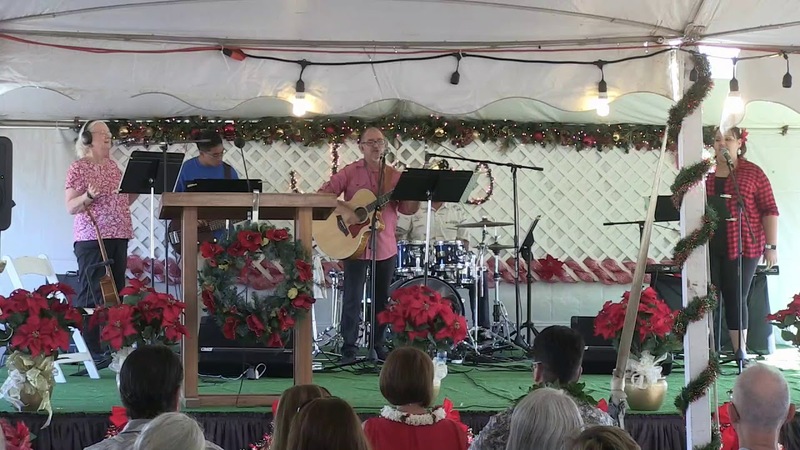 OLELO NO’EAU ORIENTATION: ‘Olelo No’eau, the Hawaii chapter of Christian Communicators of America (CCA), will begin its 16th consecutive season teaching Christian home educated students to speak skillfully while honoring God in word, actions, and attire. Home-educated students between the ages of 13 – 18 (as of January 1, 2016) are welcome to join our speech and debate club. There are two CCA tournaments in the spring that act as the capstone events for each year. Our club meets on most Mondays in Mililani from 10:00a–2:00p and one Tuesday evening per month, 5:00-8:30p, in Ewa Beach. If you are considering joining 'Olelo No'eau please attend the mandatory meeting on Tuesday, August 11th at Calvary Chapel. The orientation will begin promptly at 7p. For our planning purposes, please let Beth Vellalos know if you plan to attend the orientation. HARVEST FEST CAR WASH: We are having a car wash on Saturday, August 15, 2015 from 9 AM to 2 PM to offset the upcoming Harvest Fest expenses. The car wash will be held for a suggested donation of $5.00. Please see Pastor Kelly or Kathy Jenkins for more information. HARVEST FEST MEETING: Please note there will be a meeting for the upcoming Harvest Fest on Sunday, August 16th, 2015 in Classroom # 1 after the second service. Please see Pastor Kelly or Kathy Jenkins for more information. MAKING LITTLE WOMEN: Please note that today is the last day to sign up and make payment. All “Little Women” ages 12-­17 are invited to an overnight retreat here this Friday, September 5th ­ Saturday, September 6th. Please see the enclosed flyer for details. If cost is an issue, please see Irene Couch for scholarship availability. Please see Karen Tan on the Lanai to sign up. MID–WEEK COMMUNION SERVICE: Every first Wednesday of the month we set aside a time of worship, prayer and communion. We invite everyone to please join us in this special time of worship this Wednesday, September 3rd at 7 PM in the sanctuary. CHILDREN’S MINISTRY: The new quarter begins next Sunday, September 7th. Please prayerfully consider becoming a part of this vital ministry and be blessed by the children as we reach their hearts for Jesus. Opportunities are available for teachers, assistants, and worship leaders. If you have attended CCWO for about 6 months and would like to serve, the sign–up board is located on the Lanai. Please see Pastor John, Karen Mancao or Amy Brumm for more information. WOMEN’S STUDY: Attention ladies! It’s not too late to sign up for the women’s Bible study, The Book of Revelation, which begins this Thursday, September 4th at 9 AM and 7 PM. This study is taught by Cheryl Brodersen via video. Please see Irene Couch to purchase a workbook. WOMEN’S STUDY: Ladies, please complete Lesson 11, “Overcoming Power” before our first meeting this Thursday, September 4th. If you need to purchase a workbook, please see Irene Couch on the Lanai. WOMEN’S STUDY CHILDCARE: If you would like to be a blessing to those ladies in need of childcare, please consider volunteering for either the 9 AM or 7 PM women’s bible study session beginning September 4th. If you are able to assist, please see Irene Couch. AWANA: Approved Workmen Are Not Ashamed (2 Timothy 2:15). Our Awana program will be starting back up Wednesday, September 10th at 7 PM. This is a great tool for evangelism and disciple making of children and parents too. You may begin registering your children today after both services on the Lanai. Please see Pastor John or Susan Fuchikami for any questions. AFTERGLOW: Please join us in the sanctuary next Sunday, September 7th at 6 PM as we gather for worship and prayer. As believers, we will seek the Lord and His Word for the ministry and gifts of the Holy Spirit. Please see Pastor John for additional information. PERFORMING ARTS MINISTRY: Do you enjoy video production, computer graphics, acting, dancing, writing skits or anything theatrical? If so, please prayerfully consider joining this exciting new ministry. There will be a meeting next Sunday, September 7th at 12:15 PM in classroom #1 for all who are interested. If you have any questions, please contact Kim Jacobson. LABOR DAY HOLIDAY: Please note that the church office and facility will be closed tomorrow in observance of Labor Day. God’s thoughts toward us; how precious are they! They are deep in themselves, such as cannot possibly be fathomed and comprehended. They are dear to us; we must think of them with a great deal of reverence, and yet with pleasure and thankfulness. If we were to count them, they would be more in number than the sand. Just think how long it would take to count every grain of sand. It is inconceivable and yet that is how much God’s thoughts are toward us. When our eyes are closed in sleep and we have been lost in forgetfulness of Him in our slumbers, when we awake from that unconscious state, we are still with Him. We find that His eyes were never closed and that He has not forgotten us. There has been no change and no slumbering with Him. God is always thinking of us. Praise Jesus! The Pharisees were a group of people only concerned with their outward appearance. During the time of His ministry, Jesus had many interesting things to say to the Pharisees. One that has always caught my attention is, “these people honor me with their lips, but their hearts are far from me.” If there is one thing that is certain in this world, it is “change.” Everything is subject to it. If you were to paint your fence white and leave it alone, it is going to change. Unless it is maintained, over time it will darken. Likewise, we have to keep repainting our hearts, maintaining the purity, the whiteness. It’s a daily thing. I think this is something we can drift from as we get used to life and grow older. Although I'm still fairly young in age, as I grow older in my faith, I've found that I can get used to the routine; in that sense I can fake it. Over time, it can become easier to go along with the actions but the heart isn't there. Jesus spoke to the church in Ephesus and said even though your works are awesome, something in your heart isn't. That is what Jesus is after, our heart. Daily we need to make sure that not only our hands are clean but our hearts are as well. We have to maintain the white fence of our hearts, painting over it with the cleansing blood of Christ that takes away all our sin. As we spend time each day in God’s Word and in prayer, He will transform us into people who honor Him with both our heart and actions. MAKING LITTLE WOMEN: All “Little Women” ages 12­17 are invited to an overnight retreat Friday, September 5th ­ Saturday, September 6th. Please see the enclosed flyer for details. There is a sign­up sheet on the bulletin board. If cost is an issue, please see Irene Couch for scholarship availability. Also, if you have already signed up, please make payment as soon as possible. CHILDREN’S MINISTRY: The new quarter begins Sunday, September 7th. Please prayerfully consider becoming a part of this vital ministry and be blessed by the children as we reach their hearts for Jesus. Opportunities are available for teachers, assistants, and worship leaders. If you have attended CCWO for about 6 months and would like to serve, the sign–up board is located on the Lanai. Please see Pastor John, Karen Mancao or Amy Brumm for more information. Mahalo to all those who are currently serving this quarter! WOMEN’S STUDY: Attention ladies! It’s not too late to sign up for the women’s Bible study, The Book of Revelation, which begins Thursday, September 4th at 9 AM and 7 PM. This study is taught by Cheryl Brodersen via video. Please see Irene Couch to purchase a workbook. WOMEN’S STUDY: Ladies, please complete Lesson 11, “Overcoming Power” before our first meeting on September 4th. If you need to purchase a workbook, please see Irene Couch or Amy Brumm. AWANA: Approved Workmen Are Not Ashamed (2 Timothy 2:15). Our Awana program will be starting back up Wednesday, September 10th at 7 PM. This is a great tool for evangelism and disciple making of children and parents too. You may begin registering your children next Sunday, August 31st after both services on the Lanai. Please see Pastor John or Susan Fuchikami for any questions. END TIMES OUTREACH: This event at Calvary Chapel Honolulu is scheduled for tonight at 6 PM and tomorrow, August 25th ­ Wednesday, August 27th at 6:30 PM. Speakers are Skip Heitzig, Jack Abeelen, Don Stewart and Pancho Juarez. Use the enclosed flyer to invite a friend. Admission is FREE! MINISTRY CANCELLATIONS: Please note that there is no Worship Service tonight due to the End Times Outreach. Also, due to the Pastor’s, Leader’s & Church Worker’s Conference and End Times Outreach, the Church Office and Facility will be closed tomorrow, August 25th through Wednesday, August 27th. All ministries, including Tuesday morning women’s prayer and Wednesday’s Mid–Week Service, are temporarily cancelled. The church office will reopen Thursday, August 28th. POLO SHIRTS: Today is the last day to place your CCWO polo shirt order. A variety of colors are available and the cost is $12 each. Please note that payment needs to be made in advance. The sign–up sheet is located at the Welcome Table. Please see Russell Henna for any questions. AWANA: We hope to resume our clubs on Wednesday evenings this fall. You are invited to get involved in helping our children to have a lasting and fruitful relationship with Jesus. If you signed up to help or would like more information about this ministry, please attend the meeting today at 12:15 PM in classroom #1. GUEST SPEAKER: We are blessed to have Don Stewart scheduled to speak next Sunday, August 24th at both morning services. Don is the host of the nationally known radio program “Pastor’s Perspective.” Please invite a friend and join us! MAKING LITTLE WOMEN: All “Little Women” ages 12-17 are invited to an overnight retreat Friday, September 5th - Saturday, September 6th. Please see the enclosed flyer for details. There is a sign-up sheet on the bulletin board. If cost is an issue, please see Irene Couch for scholarship availability. Also, if you have already signed up, please make payment as soon as possible. CHILDREN’S MINISTRY: The new quarter begins Sunday, September 7th. Opportunities are available for teachers, assistants, and worship leaders. If you have attended CCWO for about 6 months and would like to serve, the sign–up board is on the Lanai. Please see Pastor John, Karen Mancao or Amy Brumm for questions. WOMEN’S STUDY CHILDCARE: If you would like to bless those ladies in need of childcare, please consider volunteering for either the 9 AM or 7 PM women’s bible study session beginning September 4th. If you are able to assist, please see Irene Couch. RIVER OF LIFE MISSION: Volunteers needed. Please join us this Thursday, August 21st at 6:30 PM at the River of Life Mission located on North Pauahi Street between Maunakea and River Street. If you need more information, please see Duke Kauka. HOW TO WALK 2014: Calvary Chapel Honolulu will host the “How To Walk” Conference this Saturday, August 23rd from 8:30 AM–3:30 PM. The theme is “God’s Love in a Cold World.” Admission is FREE! END TIMES OUTREACH: This event, also at Calvary Chapel Honolulu, is scheduled for Sunday, August 24th at 6 PM and Monday, August 25th - Wednesday, August 27th at 6:30 PM. Admission is FREE! PASTOR’S, LEADER’S & CHURCH WORKER’S CONFERENCE: This year’s conference is Monday, August 25th – Wednesday, August 27th from 8 AM–3 PM and the theme is “Essentials – Tools of Ministry.” Please go to www.calvarychapelofhonolulu.com to register. GOLF: The annual Calvary Chapel golf tournament is Friday, August 29th at 11:30 AM at the Ewa Beach Golf Club. No golf skills required! The cost of $95 per player includes golf, cart, box lunch and banquet dinner. Please sign up on the bulletin board. The registration and payment deadline is today. For questions, please see Dan Jacobson. POLO SHIRTS: We are taking orders for CCWO polo shirts through next Sunday, August 24th. A variety of colors are available and the cost is $12 each. Please note that payment needs to be made in advance. The sign–up sheet is located at the Welcome Table. Please see Russell Henna for any questions. ROOM FOR INTERNS: We have two young ladies arriving in September to serve in our Children's and Youth ministries. We would like to assist them in finding an apartment or room to share. If you would like to host them or help in some way, please see Pastor John. GUEST SPEAKER: We are blessed to have Don Stewart scheduled to speak Sunday, August 24th at both morning services. Don is the host of the nationally known radio program “Pastor’s Perspective.” Please invite a friend and join us! NEW ZEALAND MISSION CAR WASH: Please support our Young Adult’s fundraiser this Saturday, August 16th from 9 AM - ­1 PM. Presale tickets are available for the suggested donation of $5. Please visit their table on the Lanai to purchase one. CHILDREN’S MINISTRY: The new quarter begins Sunday, September 7th. Opportunities are available for teachers, assistants, and worship leaders. If you have attended CCWO for about 6 months and would like to serve, the sign–up board is on the Lanai. Please see Pastor John, Karen Mancao or Amy Brumm for questions. Mahalo to all those who are currently serving this quarter! AWANA: We hope to resume our clubs on Wednesday evenings this fall. You are invited to get involved in helping our children to have a lasting and fruitful relationship with Jesus. There is a meeting next Sunday, August 17th at 12:15 PM in classroom #1. If you plan to serve, please sign up on the bulletin board. For questions, please see Pastor John or Susan Fuchikami. HOW TO WALK 2014: Calvary Chapel Honolulu will host the “How To Walk” Conference on Saturday, August 23rd from 8:30 AM–3:30 PM. The theme is “God’s Love in a Cold World.” Admission is FREE! END TIMES OUTREACH: This event, also at Calvary Chapel Honolulu, is scheduled for Sunday, August 24th at 6 PM and Monday, August 25th ­ Wednesday, August 27th at 6:30 PM. Admission is FREE! PASTOR’S, LEADER’S & CHURCH WORKER’S CONFERENCE: This year’s conference is Monday, August 25th – Wednesday, August 27th from 8 AM – 3 PM and the theme is “Essentials – Tools of Ministry.” Please go to www.calvarychapelofhonolulu.com to register. GOLF: The annual Calvary Chapel golf tournament Friday, August 29th at 11:30 AM at the Ewa Beach Golf Club. No golf skills required! The cost of $95 per player includes golf, cart, box lunch and banquet dinner. Please sign up on the bulletin board. The registration and payment deadline is next Sunday, August 17th. For questions, please see Dan Jacobson. 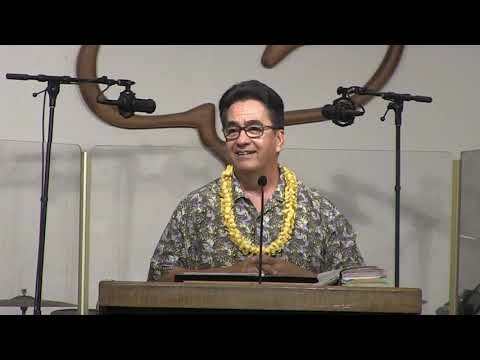 ‘OLELO NO’EAU: This is our 15th year of teaching Christian, home­educated students to speak skillfully while honoring God in word, actions and attire. Home–educated students ages 13 – 18 (as of January 1, 2015) are invited to join our speech and debate club. If you are considering joining, please attend the mandatory orientation this Tuesday, August 12th at 7 PM here in the sanctuary. Please contact Beth Vellalos if you plan to attend. Also, please pass this information on to anyone who may be interested. RIVER OF LIFE MISSION: Volunteers needed. Please join us Thursday, August 21st at 6:30 PM at the River of Life Mission located on North Pauahi Street between Maunakea and River Street. If you need more information, please see Duke Kauka. SUNDAY NIGHT PRAYER: Please join us in the sanctuary tonight from 6 - ­7 PM for a time of corporate prayer. Jesus promised that if two of you agree on earth concerning anything you ask, it will be done by My Father in heaven. For where two or three are gathered together in My name, I am there in the midst of them (Matthew 18:19­-20). GUEST SPEAKER: We are blessed to have Don Stewart scheduled to speak Sunday, August 24th at both of our morning services. Don is the host of the nationally known radio program “Pastor’s Perspective.” Please invite a friend and join us! AWANA: We hope to resume our Cubbies, Sparks and T&T clubs on Wednesday evenings this fall. You are invited to get involved in helping our children to have a lasting and fruitful relationship with Jesus through Scripture memorization, character building and leadership development. There will be a meeting Sunday, August 17th at 12:15 PM in classroom #1. If you are interested or plan to serve, please sign up on the bulletin board. For questions, please see Pastor John or Susan Fuchikami. HOW TO WALK 2014: Calvary Chapel Honolulu will be hosting the annual “How To Walk” Conference on Saturday, August 23rd from 8:30 AM–3:30 PM. This year’s theme is “God’s Love in a Cold World.” Admission is FREE! PASTOR’S, LEADER’S & CHURCH WORKER’S CONFERENCE: This year’s conference is Monday, August 25th – Wednesday, August 27th from 8 AM–3 PM and the theme is “Essentials – Tools of Ministry.” There is a fee for this event and registration is required. Please go to www.calvarychapelofhonolulu.com for more information and to register. NEW ZEALAND MISSION CAR WASH: Our Young Adults Group will be ministering at Shoreline Church in New Zealand in October. Please support their fundraiser Saturday, August 16th from 9 AM­ - 1 PM. Presale tickets are available for the suggested donation of $5. Please see Pastor Felix to purchase one. ROOM FOR INTERNS: We have two young ladies, Emily Ishiki and Marrisa Lopez, arriving in September to serve with us in our Children's and Youth ministries. We would like to assist them in finding an apartment or room to share. If you would like to host them or help in some way please let us know. For details, please see Pastor John. GOLF: The annual Calvary Chapel golf tournament is scheduled for Friday, August 29th at 11:30 AM at the Ewa Beach Golf Club. No golf skills required! The cost of $95 per player includes golf, cart, box lunch and banquet dinner. Please sign up on the bulletin board. The registration and payment deadline is August 17th. For questions, please see Dan Jacobson. ‘OLELO NO’EAU: This is our 15th year of teaching Christian, home­educated students to speak skillfully while honoring God in word, actions and attire. Home–educated students ages 13–18 (as of January 1, 2015) are invited to join our speech and debate club. We meet most Mondays from 10 AM–2 PM in Mililani and one Tuesday evening per month in Ewa Beach from 5:30–8:30 PM. If you are considering joining, please attend the mandatory orientation Tuesday, August 12th at 7 PM here in the sanctuary. Please contact Beth Vellalos if you plan to attend. Also, please pass this information on to anyone who may be interested. CHILDREN’S MINISTRY: The new period begins today. We still have a few needs. Please see the sign­up board on the Lanai. If you have any questions or need more information, please see Pastor John. AWANA: Approved Workmen Are Not Ashamed (2 Timothy 2:15). Our Awana program will be starting back up Wednesday, September 18th. This is a great tool for evangelism and disciple making of children and parents too. There is a sign–up sheet on the bulletin board if you would like to assist. You may register your children today after both services on the Lanai. Please see Pastor John for any questions. WOMEN’S BIBLE STUDY: The next ladies study, “Mercy Triumphs” by Beth Moore, begins this Thursday, September 5th at 9 AM and 7 PM. Please join us as we journey through the book of James. Workbooks will be distributed at the first session and the cost is $18. There are sign­up sheets on the bulletin board. For more information, please see Irene Couch or call the church office. CHILDCARE: We are in need of some volunteers to help with childcare for both the 9 AM and 7 PM women’s study session beginning this Thursday, September 5th. If you would be able to assist, please see Irene Couch. EWA BEACH HOME FELLOWSHIP: We have a new home fellowship beginning this Friday, September 6th at 7 PM. The group will meet the 1st Friday of each month at the home of Frank and Jessie DeCoite at 91­1118 Pekau Street in “Sandalwood” by Gentry (across from Safeway) and the study will be taught by Frank. For any questions, please call Frank or Jessie. MONDAY NIGHT PRAYER: Please note that the church office and facility is closed tomorrow in observance of Labor Day. We invite everyone to pray with us Monday, September 9th at 7 PM right here in the sanctuary. We want to encourage you to consider making the time for this precious opportunity of intercessory prayer for all believers in Christ. Please see Pastor Tau for more information. MID–WEEK COMMUNION SERVICE: Every first Wednesday of the month we set aside a time of worship, prayer and communion. We invite everyone to please join us in this special time of worship this Wednesday, September 4th at 7 PM in the sanctuary. HOMESCHOOL/MOM’S GROUP: We have a new fellowship group starting in September geared towards homeschooling/stay­at­home moms. Their first outing scheduled is to see the Dinosaur Exhibit at the Bishop Museum tomorrow at 9 AM. For questions, please see Kim Jacobson. MY HOPE WITH BILLY GRAHAM: There will be a unique opportunity for evangelism with Billy Graham on Thursday, November 7th. Billy will present the gospel by video across our land through thousands of homes and churches. For information, please see Pastor John or Pastor Kelly or go to www.myhopewithbillygraham.org. Please be praying for this event! NEW BABY: Congratulations to Andrew and Abby Quast on the birth of their daughter Alexandria Grace. She was born August 23rd and weighed 7 lbs. 15 oz. and was 20 inches in length. CHILDREN’S MINISTRY: The new period begins next Sunday, September 1st. Please prayerfully consider becoming a part of this ministry and be blessed by the children as we reach their heart for Jesus. Teachers, assistants, and worship leaders are needed. Full curriculum is provided. If you have attended CCWO for about 6 months and would like to serve, the sign–up board is located on the Lanai. Please see Pastor John, Karen Mancao or Amy Brumm for more information. Our deep appreciation to all those who are currently serving this quarter! AWANA: Approved Workmen Are Not Ashamed (2 Timothy 2:15). Our Awana program will be starting back up Wednesday, September 18th. This is a great tool for evangelism and disciple making of children and parents too. There is a sign–up sheet on the bulletin board if you would like to assist. You may begin registering your children today after both services on the Lanai. Please see Pastor John for any questions. AWANA MEETING: Please note there will be a brief meeting today, after the second service in classroom #1. Please plan on attending if you already signed up to assist or would like more information about how you can help. Please see Pastor John for any questions. WOMEN’S BIBLE STUDY: The next ladies study, “Mercy Triumphs” by Beth Moore, begins Thursday, September 5th at 9 AM and 7 PM. Please join us as we journey through the book of James. Workbooks will be distributed at the first session and the cost is $18. There are sign­up sheets on the bulletin board. For more information, please see Irene Couch or call the church office. CHILDCARE: We are in need of some volunteers to help with childcare for both the 9 AM and 7 PM women’s study session beginning Thursday, September 5th. If you would be able to assist, please see Irene Couch. MINISTRY CANCELLATIONS: Please note that there is no Servant School tonight due to the End Times Outreach. Also, due to the Pastor’s, Leader’s & Church Worker’s Conference and End Times Outreach, the Church Office and Facility will be closed tomorrow, August 26th through Wednesday, August 28th. All ministries, including Tuesday morning women’s prayer and Wednesday’s Mid–Week Service, are temporarily cancelled. Our normal schedule will resume Thursday, August 29th. MEN’S FELLOWSHIP BREAKFAST: Attention all men! We will have our monthly Men’s Fellowship Breakfast this Saturday, August 31st at 7 AM. We invite you to bring a friend and join us for a time of worship and fellowship. Please see Whitney Vellalos for information. EWA BEACH HOME FELLOWSHIP: We have a new home fellowship beginning Friday, September 6th at 7 PM. The group will meet every 1st Friday of the month at the home of Frank and Jessie DeCoite at 91­1118 Pekau Street in “Sandalwood” by Gentry (across from Safeway) and the study will be taught by Frank. For any questions, please call Frank or Jessie. HOMESCHOOL/MOM’S GROUP: We have a new fellowship group starting in September geared towards homeschooling/stay­at­home moms. Their first outing scheduled is to see the Dinosaur Exhibit at the Bishop Museum on Monday, September 2nd at 9 AM. For more information, please see Kim Jacobson. NEW BABIES: Congratulations to Melvin and Marissa Gonzalvo on the birth of their twin daughters Mikenzee and Mikenlee. They were born Tuesday, August 13th and weighed 5lbs. 4oz. and 5lbs. 3oz. respectively. GUEST SPEAKER: We are blessed to have Dr. Jason Lisle, Director of Research at the Institute For Creation Research, here for our Mid–Week Service this Wednesday, August 21st at 7 PM. 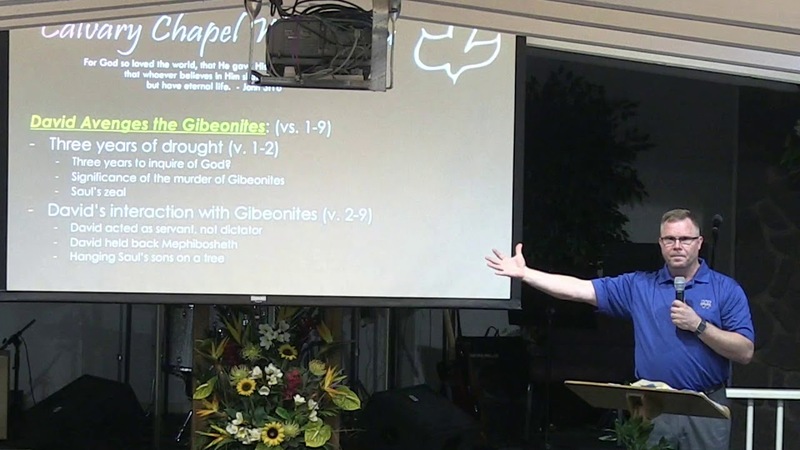 His books include: Why Genesis Matters and The Ultimate Proof of Creation: Resolving the Origins Debate. Invite a friend and join us! CHILDREN’S MINISTRY: The new period begins Sunday, September 1st. Please prayerfully consider becoming a part of this ministry and be blessed by the children as we reach their heart for Jesus. Teachers, assistants, and worship leaders are needed. Full curriculum is provided. If you have attended CCWO for about 6 months and would like to serve, the sign–up board is located on the Lanai. Please see Pastor John, Karen Mancao or Amy Brumm for more information. Our deep appreciation to all those who are currently serving this quarter! AWANA: Approved Workmen Are Not Ashamed (2 Timothy 2:15). Our Awana program will be starting back up Wednesday, September 18th. This is a great tool for evangelism and disciple making of children and parents too. There is a sign–up sheet on the bulletin board if you would like to assist. You may begin registering your children next Sunday, August 25th after both services on the Lanai. Please see Pastor John for any questions. AWANA MEETING: Please note there will be a brief meeting next Sunday, August 25th at 12:15 PM in classroom #1. Please plan on attending if you signed up to assist or would like more information. Please see Pastor John for any questions. WOMEN’S BIBLE STUDY: The next ladies study, “Mercy Triumphs” by Beth Moore, begins Thursday, September 5th at 9 AM and 7 PM. Please join us as we journey through the book of James. There are sign­up sheets on the bulletin board. For more information, please see Irene Couch or call the church office. MINISTRY CANCELLATIONS: Please note that the facility will be closed this Saturday, August 24th due to the “How to Walk” Conference at Calvary Chapel Honolulu. Also, there will be no Servant School next Sunday night, August 25th or Mid­Week service Wednesday, August 28th due to the “End Times Outreach” also at Calvary Chapel Honolulu. MEN’S FELLOWSHIP BREAKFAST: Attention all men! We will have our monthly Men’s Fellowship Breakfast Saturday, August 31st at 7 AM. We invite you to bring a friend and join us for a time of worship and fellowship. Please see Whitney Vellalos for information. EWA BEACH HOME FELLOWSHIP: We have a new home fellowship beginning Friday, September 6th at 7 PM. The group will meet every 1st and 3rd Friday at the home of Frank and Jessie DeCoite at 91­1118 Pekau Street in “Sandalwood” by Gentry (across from Safeway) and the study will be taught by Frank. For any questions, please call Frank or Jessie. GOLF: The annual Calvary Chapel golf tournament is scheduled for Friday, August 30th at 11:30 AM at the Ewa Beach Golf Club. No golf skills required! The cost of $90 per player includes golf, cart, box lunch and banquet dinner. Please sign up on the bulletin board. The registration and payment deadline is TODAY. For payment and questions, please see Felix Tan. GUEST SPEAKERS: Please join us for our upcoming Institute For Creation Research guest speakers. Dr. Randy Guliuzza will be speaking at both morning services next Sunday, August 18th. He is the author of Made in His Image: Examining the complexities of the human body. Dr. Jason Lisle will here for our Mid–Week Service Wednesday, August 21st at 7 PM. His books include: Why Genesis Matters and The Ultimate Proof of Creation: Resolving the Origins Debate. AWANA: Approved Workmen Are Not Ashamed (2 Timothy 2:15). Our Awana program will be starting back up Wednesday, September 18th. This is a great tool for evangelism and disciple making of children and parents too. There is a sign–up sheet on the bulletin board if you would like to assist. There is also one if you would like your child to participate. Please see Pastor John for any questions. RIVER OF LIFE MISSION: Volunteers needed. We invite you to come and be a blessing to those less fortunate. Please join us this Thursday, August 15th at 6:30 PM at the River of Life Mission located on North Pauahi Street between Maunakea and River Street. Free parking is available on the street. For information, please see Duke Kauka. AFTERGLOW: Please join us in the sanctuary next Sunday, August 18th at 6 PM as we gather for worship and prayer. As believers, we will seek the Lord and His Word for the ministry and gifts of the Holy Spirit. Please see Pastor John for additional information. WOMEN’S BIBLE STUDY: The next ladies study, “Mercy Triumphs” by Beth Moore, begins Thursday, September 5th at 9 AM and 7 PM. Please see the enclosed flyer for a brief description. There are sign­up sheets on the bulletin board. For more information, please see Irene Couch or call the church office. EWA BEACH HOME FELLOWSHIP: We have a new home fellowship beginning Friday, September 6th at 7 PM. The group will meet every 1st and 3rd Friday at the home of Frank and Jessie DeCoite at 91­1118 Pekau Street in “Sandalwood” by Gentry (across from Safeway) and the study will be taught by Frank. For any questions, please contact Frank or Jessie. HOW TO WALK 2013: Calvary Chapel Honolulu will be hosting the annual “How To Walk” Conference on Saturday, August 24th from 8 AM–3 PM. This year’s theme is taken from Proverbs 25:11 – “A Word Fitly Spoken.” Admission is FREE! END TIMES OUTREACH: This event is also at Calvary Chapel Honolulu and is scheduled for Sunday, August 25th – Wednesday, August 28th at 6:30 PM each evening (except Sunday, August 25 at 6 PM). Admission is FREE! PASTORS, LEADERS & CHURCH WORKERS CONFERENCE: This year’s conference is Monday, August 26th – Wednesday, August 28th from 8 AM–3 PM. The theme is “The Supernatural Church” – a study in the book of Acts. There is a fee for this event and registration is required. There are flyers available in the foyer. For more information and to register, please go to www.calvarychapelofhonolulu.com. GOLF: The annual Calvary Chapel golf tournament is scheduled for Friday, August 30th at 11:30 AM at the Ewa Beach Golf Club. No golf skills required! The cost of $90 per player includes golf, cart, box lunch and banquet dinner. Please sign up on the bulletin board. The registration and payment deadline is next Sunday, August 18th. For payment and questions, please see Felix Tan. MUSICAL GUEST: Please join us for a special night of worship with Rodrigo Rodriguez this Wednesday, August 7th at 7 PM. Rodrigo began playing guitar at the age of 9 and recorded his first LP at the age of 12. His anointed guitar playing, which he now dedicates to the service of the Lord, brings a special dimension to worship . Invite a friend and come be blessed! You can learn more about his ministry at www.rodrigorodriguez.net. MONDAY NIGHT PRAYER: We invite everyone to pray with us tomorrow, August 5th at 7 PM here in the sanctuary. We want to encourage you to consider making the time for this precious opportunity of intercessory prayer for all believers in Christ. Please see Pastor Tau for more information. GUEST SPEAKERS: Please join us for our upcoming Institute For Creation Research guest speakers. Dr. Randy Guliuzza will be speaking at both morning services on Sunday, August 18th. He is the author of Made in His Image: Examining the complexities of the human body. Dr. Jason Lisle will here for our Mid–Week Service Wednesday, August 21st at 7 PM. His books include: Why Genesis Matters and The Ultimate Proof of Creation: Resolving the Origins Debate. END TIMES OUTREACH: This event is also at Calvary Chapel Honolulu and is scheduled for Saturday, August 24th – Wednesday, August 28th at 6:30 PM each evening (except Sunday, August 25 at 6 PM). Admission is FREE! PASTORS, LEADERS & CHURCH WORKERS CONFERENCE: This year’s conference is Monday, August 26th – Wednesday, August 28th from 8 AM–3 PM. The theme is “The Supernatural Church” – a study in the book of Acts. There is a fee for this event and registration is required. There are flyers available in the foyer. The deadline for early registration is tomorrow, August 5th. Please go to www.calvarychapelofhonolulu.com for information and to register. GOLF: The annual Calvary Chapel golf tournament is scheduled for Friday, August 30th at 11:30 AM at the Ewa Beach Golf Club. No golf skills required! The cost of $90 per player includes golf, cart, box lunch and banquet dinner. Please sign up on the bulletin board. The registration deadline is August 18th. For payment and questions, please see Felix Tan. AWANA: Approved Workmen Are Not Ashamed (2 Timothy 2:15). Our Awana program will be starting back up Wednesday, September 18th. This is a great tool for evangelism and disciple making of children and parents too. There is a sign–up sheet on the bulletin board if you would like to assist. Please see Pastor John for any questions. MY HOPE WITH BILLY GRAHAM: There will be a unique opportunity for evangelism with Billy Graham on Thursday, November 7th. Billy will present the gospel by video across our land through thousands of homes and churches. Please be praying for this event. For more information, please see Pastor John or Pastor Kelly or go to www.myhopewithbillygraham.org. NÃ HULA O KALEIOKAPUALANI: Please note that all classes are cancelled for the month of August. They will resume Saturday, September 7th at 9 AM for the keiki and Monday, September 16th at 6:30 PM for the women. Please see Bobby or Hi’ilei Silva for any questions. Names of people in our generation may no longer have much significance to the character of the person. Many new parents often pick names that are popular for their newborn without any regard for its true meaning. Some people would say, “as long as it sounds good, then it’s good enough for the baby.” The Bible however placed great emphasis on names much more than we do. In fact, God renamed some people based on the change of character in their life. Case–in point was Jacob whose name means “supplanter” because he stole his brother’s birthright. But later in life as Jacob submitted to the Lord’s will; God changed his name to Israel which means “governed by God”. But for as long as humans ever existed throughout time, none is greater than the name of Jesus. The name Jesus means “Jehovah our Savior”. According to the Apostle Peter, salvation from sin only comes through our Savior, Jesus – this statement sounds very exclusive, well it is. Jesus said “I am the Way, the Truth, and the Life – no one comes to the Father except through Me” (John 14:6). So what’s in your name? HARVEST AMERICA: ONE DAY, ONE CHURCH, ONE MESSAGE! We are a host location for this live event with Pastor Greg Laurie today at 1 PM HST. We will be streaming this evangelistic crusade along with over 1200 other churches worldwide. Please come and be a part of this exciting event! CHILDREN’S MINISTRY: The new period begins next Sunday. Please prayerfully consider becoming a part of this ministry and be blessed by the children as we reach their heart for Jesus. Teachers, assistants, and worship leaders are needed. Full curriculum is provided. You provide time for prayer, preparation and a willing spirit. If you have attended CCWO for 6 months and would like to serve, the sign–up board is located under the Fellowship Tent. Please see Karen Mancao or Amy Brumm for more information. Our deep appreciation to all those who are currently serving this quarter! GUEST SPEAKER: We look forward to having John Beers, representing the international ministry Gospel for Asia, sharing at both services on Sunday, September 9th. John has traveled to the mission field numerous times and has seen the desperation of those who have yet to hear the name of Jesus. He has also witnessed the incredible way God is moving and changing precious lives forever. Please join us and learn how you can be a part of reaching the lost millions of Asia. You will leave with new insight into God’s heart and a fresh desire to truly live like Jesus. PASTORS, LEADERS & CHURCH WORKERS CONFERENCE: It’s not too late to register for this year’s conference scheduled for Tomorrow–Wednesday from 8 AM–3:30 PM. The theme is “Ministry in the Last Days” – a study through 2 Peter. You can register at www.calvarychapelofhonolulu.com as well as at the conference. Please see Amy Brumm for more information. END TIMES OUTREACH: This event is also at Calvary Chapel Honolulu and will be continuing Tonight–Wednesday, August 29th at 6:30 PM each evening (tonight at 6 PM). Admission is FREE and childcare is available. MINISTRY CANCELLATION: Due to the Pastor’s, Leader’s & Church Worker’s Conference and End Times Outreach, the Church Office and Facility will be closed Monday, August 27th through Wednesday, August 29th. All ministries, including Tuesday morning women’s prayer and Wednesday’s Mid–Week Service, are temporarily cancelled. Our normal schedule will resume Thursday, August 30th. FREE BOOK: We received more copies of K.P. Yohannan’s book No Longer a Slumdog. If you completed the insert last week but were unable to get a copy because we ran out, please see Amy Brumm or stop by the church office. WOMEN’S MINISTRY: The next women’s Bible study Against All Odds begins Thursday, September 6th. Please join us as we go through the book of Nehemiah. Additional information can be found on the enclosed insert. If you plan on participating, please sign up even if you attended the Ezra study and already have the book. This is a testimony of the great Apostle Paul admitting to his insecurity in testifying of God. He felt fearful and inadequate. I am sure we all can attest to feeling the same way. Paul’s obedience in sharing regardless of how he “felt” is the key to his greatness as an apostle. His acknowledgment of God’s Power encourages me that it is God doing the work and not me. Let us resolve to obediently share the love of God in word and deed and remember it is not us, but God’s Power working through us. HARVEST AMERICA: ONE DAY, ONE CHURCH, ONE MESSAGE! We are a host location for this live event with Pastor Greg Laurie next Sunday at 1 PM HST. We will be streaming this evangelistic crusade along with over 1200 other churches worldwide. More information is available at www.harvestamerica.com. Please invite an unsaved friend or family member. Invitations are available on the foyer table as well as the Hospitality table. Please continue to keep this outreach in prayer. CHILDREN’S MINISTRY: The new period begins Sunday, September 2nd. Please prayerfully consider becoming a part of this ministry and be blessed by the children as we reach their heart for Jesus. Teachers, assistants, and worship leaders are needed. Full curriculum is provided. You provide time for prayer, preparation and a willing spirit. If you have attended CCWO for 6 months and would like to serve, the sign–up board is located under the Fellowship Tent. Please see Karen Mancao or Amy Brumm for more information. Our deep appreciation to all those who are currently serving this quarter! GUEST SPEAKERS: We look forward to having Pastor Jack Abeelen speaking at both of our services next Sunday. Pastor Jack’s radio program is “Growing thru Grace” and his gift of teaching can be seen in the easy, yet relevant way he communicates the Word of God. Pastor Jack is a featured speaker at this year’s “How to Walk” conference. Please invite a friend and come be blessed. Also, John Beers, representing the international ministry Gospel for Asia, will be sharing at both services on Sunday, September 9th. Please join us and learn how you can be a part of reaching the lost millions of Asia. You will leave with new insight into God’s heart and a fresh desire to truly live like Jesus. FREE BOOK: Please complete and return the enclosed insert for a complimentary copy of K.P. Yohannan’s book No Longer a Slumdog. Dr. Yohannan is the founder and international director of Gospel for Asia. Please see Amy Brumm on the lanai after both services to pick up your copy. YOUTH: All youth (7th grade and up) are invited to join us here for a BBQ and a Movie this Thursday at 5:30 PM. Please see Hendrik Feliciano for any questions. GOLF: The annual Calvary Chapel golf tournament is scheduled for Friday, August 31st at the Ewa Beach Golf Club and is open to men and women ages 12 and up. Registration is at 10 AM and tee time is at 11:30 AM. No golf skills required! The cost of $90 per player includes golf, cart, box lunch and banquet dinner. Please see the sign–up sheet on the bulletin board. The registration deadline is today. For payment and any questions, please see Felix Tan. MEN’S FELLOWSHIP BREAKFAST: Our monthly Men’s Fellowship Breakfast scheduled for this Saturday is cancelled due to the “How to Walk” conference. We invite you to bring a friend and join us for our next time of worship and fellowship Saturday, September 29th at 7 AM in the sanctuary. Please see Whitney Vellalos for more information. We can be sure that the name of the Lord Jesus Christ commands the attention of God the Father and He will not only listen but be inclined to do whatever is asked to be done for the sake of His beloved Son. Praying in the name of Christ is like signing His name to our petition; therefore, it is reasonable that the subject of our prayers be limited to things that are in direct line with the purposes of Christ and for His glory. “...You do not have, because you do not ask God. When you ask, you do not receive, because you ask with wrong motives, that you may spend what you get on your pleasures” (James 4:2–3 NIV). HARVEST AMERICA: ONE DAY, ONE CHURCH, ONE MESSAGE! We are a host location for this live event with Pastor Greg Laurie on Sunday, August 26th at 1 PM HST. We will be streaming this evangelistic crusade along with over 1200 other churches worldwide. More information is available at www.harvestamerica.com. Please use the enclosed invitation to invite an unsaved friend or family member. There are bumper stickers as well as extra invitations and bookmarks on the foyer table. Please feel free to take some. CHILDREN’S MINISTRY: The new period begins Sunday, September 2nd. Please prayerfully consider becoming a part of this ministry and be blessed by the children as we reach their heart for Jesus. Teachers, assistants, and worship leaders are needed. Full curriculum is provided. You provide time for prayer, preparation and a willing spirit. If you have attended CCWO for 6 months and would like to serve, the sign–up board is located under the Fellowship Tent. Please see Pastor Tau, Karen Mancao or Amy Brumm for more information. Our deep appreciation to all those who are currently serving this quarter! GUEST SPEAKER: We look forward to having Pastor Jack Abeelen speaking at both of our services on Sunday, August 26th. Pastor Jack’s radio program is “Growing thru Grace” and his gift of teaching can be seen in the easy, yet relevant way he communicates the Word of God. Pastor Jack is a featured speaker at this year’s “How to Walk” conference. Invite a friend and come be blessed! WOMEN’S MINISTRY: The next Bible study begins Thursday, September 6th. Please see the enclosed insert for more information. If you plan on participating, please sign up even if you attended the Ezra study and already have the book. HOW TO WALK 2012: Calvary Chapel Honolulu will be hosting the annual “How To Walk” Conference on Saturday, August 25th from 8 AM–3 PM. This year’s theme is “Walking Wise in Evil Days” taken from Ephesians 5:15–17. Special music guest is Dennis Agajanian. Admission is FREE! END TIMES OUTREACH: This event is also at Calvary Chapel Honolulu and scheduled for Saturday, August 25th–Wednesday, August 29th at 6:30 PM each evening (Sunday at 6 PM). Joel Rosenberg is one of the featured speakers. He has written five novels about terrorism and how it relates to Bible Prophecy including the Gold Medallion Book Award winner, The Ezekiel Option. Admission is FREE and childcare is available. PASTORS, LEADERS & CHURCH WORKERS CONFERENCE: This year’s conference is Monday, August 27th–Wednesday, August 29th from 8 AM–3:30 PM and the theme is “Ministry in the Last Days” – a study through 2 Peter. Please note there is a fee for this event and registration is required. Please go to www.calvarychapelofhonolulu.com for more information and to register. There are also registration forms on the foyer table. GOLF: The annual Calvary Chapel golf tournament is scheduled for Friday, August 31st at the Ewa Beach Golf Club and is open to men and women ages 12 and up. Registration is at 10 AM and tee time is at 11:30 AM. No golf skills required! The cost of $90 per player includes golf, cart, box lunch and banquet dinner. Please see the sign–up sheet on the bulletin board. The registration deadline is next Sunday. For payment and any questions, please see Felix Tan. HARVEST AMERICA: ONE DAY, ONE CHURCH, ONE MESSAGE! We are a host location for this live event with Pastor Greg Laurie on Sunday, August 26th at 1 PM HST. We will be streaming this evangelistic crusade along with over 1200 other churches worldwide. Please join us here today at 1 PM HST for a special pre–event rally. Churches across the nation will be tuning in to the live broadcast which will include worship as well as prayer for our nation and the upcoming outreach. More information is available at www.harvestamerica.com. There are a few bumper stickers and bookmarks on the foyer table. Feel free to take one. GUEST SPEAKER: We look forward to having Pastor Jack Abeelen speaking at both of our services on Sunday, August 26th. Pastor Jack’s radio program “Growing thru Grace” airs on over 400 stations and is dedicated to the plain exposition of God’s Word. He is also a featured speaker at this year’s “How to Walk” conference. Invite a friend and come be blessed! HOW TO WALK 2012: Calvary Chapel Honolulu will be hosting the annual “How To Walk” Conference on Saturday, August 25th from 8 AM–3 PM. This year’s theme is “Walking Wise in Evil Days” taken from Ephesians 5:15–17. Admission is FREE! END TIMES OUTREACH: This event is also at Calvary Chapel Honolulu and scheduled for Saturday, August 25th–Wednesday, August 29th at 6:30 PM each evening (Sunday at 6 PM). Joel Rosenberg is one of the featured speakers. He has written five novels about terrorism and how it relates to Bible Prophecy including the Gold Medallion Book Award winner, The Ezekiel Option. Admission is FREE! PASTORS, LEADERS & CHURCH WORKERS CONFERENCE: This year’s conference is Monday, August 27th–Wednesday, August 29th from 8 AM–3:30 PM and the theme is “Ministry in the Last Days” – a study through 2 Peter. There is a fee for this event and registration is required. Deadline for early registration is tomorrow. Please go to www.calvarychapelofhonolulu.com for more information and to register. There are also registration forms on the foyer table. GOLF: The annual Calvary Chapel golf tournament is scheduled for Friday, August 31st at 11:30 AM at the Ewa Beach Golf Club. No golf skills required! The cost of $90 per player includes golf, cart, box lunch and banquet dinner. Please see the sign–up sheet located on the bulletin board. The registration deadline is August 19th. For payment and any questions, please see Felix Tan. REFRESHMENT MINISTRY: Looking for a place to serve and plug in? If so, please consider becoming a part of this ministry. We are looking for a few people who are able to commit to being here at 7 AM each Sunday to prepare the refreshments served after each service. If you are interested or have any questions, please see Felix Tan or Amy Brumm. During the time of captivity, the prophet Isaiah reminded the nation Israel about the Lord’s ability to save them in spite of their difficult circumstances and their inability to save themselves. Sometimes in the course of our walk, God will place us in circumstances that are beyond our control so that He can prove himself strong and mighty. Not so that He can increase in more power and splendor, but that He wants to increase our faith and dependence on Him. There is no mountain beyond the reach of the Lord’s hand nor is there any problem beyond his ability to solve. The Lord’s ear is never dull when we call on him with the right heart. Do so today. WHAT ABOUT THOSE YOU KNOW? As I write, the media presents the reality of problems in our world such as the international financial crises, London riots, and the surge in Flash Mob attacks throughout our nation’s cities. I’m prompted, like many of us, to think of how we may actively assist in solving these enormous problems. While my thoughts were on lofty answers, the Lord reminded me of an area of our lives where we can provide answers and solutions. It’s our sphere of influence. Often our desire is to see God resolve the great problems of our time. However, like this man, Jesus reminds us that our first task is to be His voice to those we know. 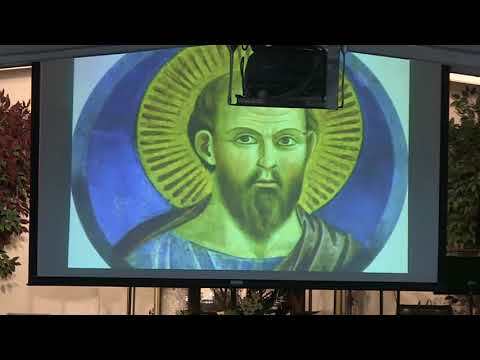 The man obeyed and told others about Jesus. Are we sharing the Gospel with those very ones we continually come in contact with? Let God handle the world and let us be faithful in telling those we know about God’s love and salvation through our Lord, Jesus. Two of my favorite scriptures are Romans 8:38-39 (NIV) - “ For I am convinced that neither death nor life, neither angels nor demons, neither the present nor the future, nor any powers, neither height nor depth, nor anything else in all creation, will be able to separate us from the love of God that is in Christ Jesus our Lord.” It’s comforting to know as Christians that nothing can come between our relationship with our Holy Father, as long as we maintain our relationship with His son Jesus. In Mark 13:10-12, Jesus reminded us that as his followers, the world will be against us. Mark 13:13 says, “And you will be hated by all for My name's sake. But he who endures to the end shall be saved.” All we need to do is persevere through our daily trials. I believe that Job said it best in Job 13:15, "Though he slay me, yet will I trust him." This scripture is the second of my two favorites. I pray that you will hide these scriptures in your heart as you endure the trials and tribulations that we must all face until we hear those blessed words, “Well done good and faithful servant” (Matthew 25:21 & 23) Amen. Although this passage dealt with Jewish dietary practices it also had to do with practicing purity according to the knowledge of God’s standards. Here we see a great example of a believer in God who determined to keep himself pure and be set apart from the ungodly Babylonian empire. First and foremost Daniel decided not to be influenced by, nor practice the things of the Babylonian culture which were against the one true God. There are so many things in our culture today that are acceptable while clearly violate against God’s Word. Other things are so subtle that even Christians unknowingly accept and practice them. Daniel, however, made the choice not to sin against God. God said, “Be holy, for I am holy.” (I Peter 1:16). Therefore, let us practice purity by hiding God’s Word in our heart that we might not sin against Him (Psalm 119:11). Let’s begin by being doers of God’s Word and not just hearers (James 1:22).